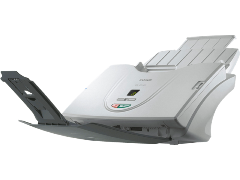 Canon-DR-3010C-Scanner A4-size color desktop scanner featuring exceptional performance and reliability. Durable, solid body. Equipped with heavy-duty feed tray and durable moving parts, including a paper guide those easily adjust to fit your document.